Super Cabinet! 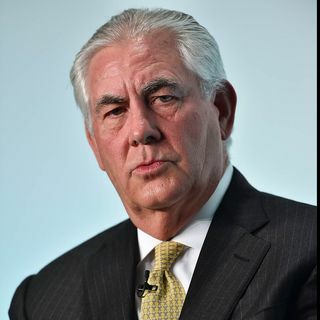 (12/13) "More Amazing Cabinet Picks + Trump California Voter"
Tonight we discuss Trump’s latest amazing Cabinet picks including Rex Tillerson as SOS and Rick Perry at Energy. We also have report from Trump supporter in Southern Cal! I am on Gab.ai roywrt/roypatterson. Need to watch Gab on You Tube to understand Gab. Thank u bill!! Great show!! are you guys signed up with GAB? Thanks and I'll follow back. Good night everyone. PC is what?? What was twitter address? Abedin comes back to the USA and is put straight into the White House at a top level .... something is off. Thanks to the Trump Train, I got to meet some great people of many different backgrounds whether it was black, white, Latino, gay, whatever. We all came together and brought in the election for Trump. Blessed to have worked with everyone to get to this point. Where did the snowflakes and coloring books go?